You can make a very cold Green tea with cold water. ①急須に10-15gくらいの茶葉をいれます。 Put 10-12g tea leaf in a tea pot. 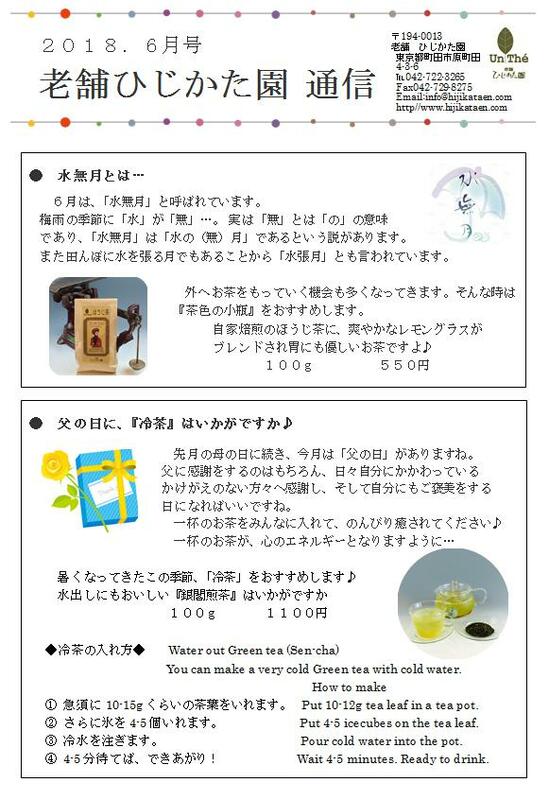 ②さらに氷を4-5個いれます。　Put 4-5 icecubes on the tea leaf. ③冷水を注ぎます。　Pour cold water into the pot. ④4-5分待てば、できあがり！　Wait 4-5 minutes. Ready to drink.